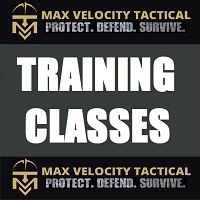 Home › Forums › MVT News & Training Updates › MVT training in Southeast? This topic has 50 replies, 28 voices, and was last updated 2 years, 4 months ago by vektor40. 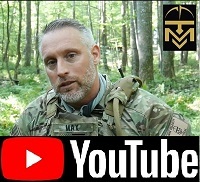 Folks, chime in and show your interest here if your interested in having Max down to south Georgia for some classes next year. The range is near Alma, GA (south Georgia) and is approximately 2 hours from Jacksonville, FL, 2 hours from Savannah, GA and 2 hours from Macon, GA. 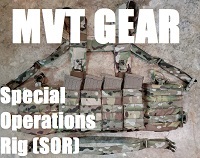 This could be a great opportunity for folks in the southeast to attend an MVT course a little closer to home. Ill take advantage of that. Thats much closer to Chattanooga. You know Jen and I will be there. I thought I banned Jenn because she voted for Hillary? Or maybe I was drunk, and forgot? In. There are several GA MVT alum not on the forum but I bet they would be interested. That’d be great about equal disance from Nashville, I suspect. Now just need to get some money and time off. Unfortunately it’s an hour farther than Romney from our location BUT depending upon weather it might be worth the extra time. Y’all Serious? I just might have to trot down and have a looksee at this. Yes, will be there. Can count on 2 others as well. Depends on Uncles Sam’s schedule of course, but I’m game. I have a decent chance at being able to get a few new folks to come with me, too. What courses can the range support? From my location, it’s equidistant. 7 hr, 7 min to GA, 7 hrs, 17 min to WV. Might be a bit flatter in GA. Combat rifle skills, the pistol class, FOF, CTT, possibly mobility, pretty much the whole gamut. I’ve been developing the range there for a few years now and have heavy equipment there currently. I showed Max a short video of the area a time or two back and it looked acceptable. I remember you discussing this possibility, sounds great. I would plan to attend. I see this. I need dates. Also, when Robert showed me the video, I was being mobbed for t-shirts post class, and didn’t really see it. Are we talking open enrollment? Need a map with propery lines and some photos, so I can relate it to google earth for a pre-recce to decide on what classes will work. Calendar is filling up for first part of 2016. May is Idaho. About to post MO just prior to ID, so I will be on the road. I would be in on this as well. You are never out of the fight. Looks like a lot of Alumni interested, so let’s start with them and maybe round it out with any new people? I’ll try to email you that video. I’ll get a copy of the topo for that area and outline the area, etc. Haven’t been able to take a detailed look at the current schedule. However, given comment by hellokitty, perhaps with the first part of 2017 scheduled, we can wot this into fall. Maybe September? 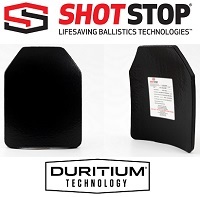 What I am doing with Idaho, and with the MO class I will put up shortly, is do an RS/CTT followed by 2 days of Direct Action, which is basically cutting down the patrol class to 2 days – 1 day ambush, 1 day raid. 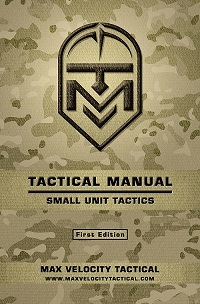 Follow that with 1, 2 or 3 days of UTM, involving a CQB day, 1 or 2 days FoF Team tactics. That can go up to 9 days of optional classes. I prefer to do no less than 5 days when all the travel, recce, range planning, gear movement and all that is taken into account. Definitely. And that would give me enough time to coordinate more with Max as far as what else needs to be done to the land itself and some time to get it done. October classes seem to be the most full everwhere I have ever trained.